Even though we're heading into summer, it never hurt anyone to start planning early! It's always best to plan ahead and that includes planning for the next Girl Scout year. In the Friendship Kit, every small item explains the importance of friendship. The Daisy Leadership flower, gives every Daisy a job to do at a troop meeting. Remember, Girl Scout meetings are led by girls, let's teach them that from the very beginning! 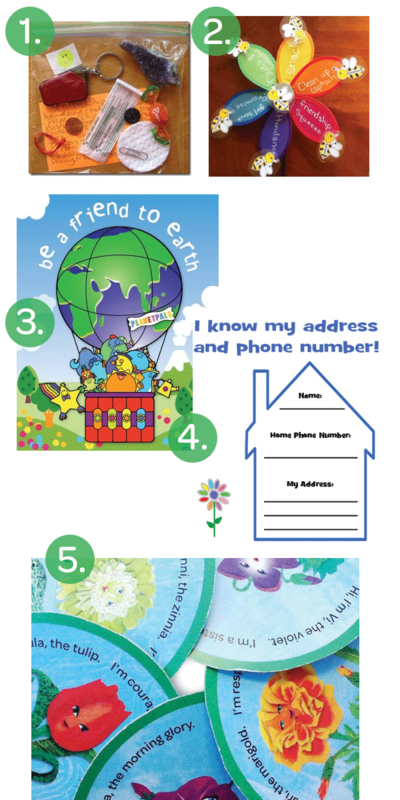 Be a friend to the Earth, goes along with the Daisy Journey and to help our youngest Girl Scouts know that even they can make a difference. The Daisy Preparedness is to help them know basic things such as their address, phone number, parents names-- just in case! It never hurts to explain what they might need in an emergency. Last but not least, don't forget our sweet flower friends who help teach us the Girl Scout mission and how to act. These are just a few of the many ideas that we have, make sure you check out our full Pinterest board!